My daughter Jessica and I took a break from our professional and academic responsibilities to make her a new rock garden yesterday. When we travel, she and I interview rocks large and small which might want to come home with us. This summer, Jessica and I each brought home a selection of boulders. I used mine to extend my informal rock wall which is both decorative – and keeps the dogs from racing through my flower beds. 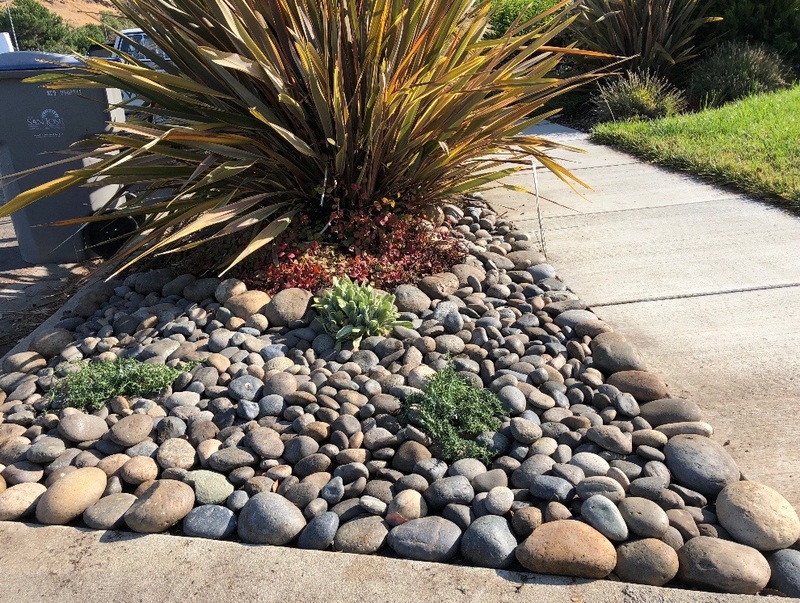 After tilling the soil below, taking out larger rocks, and digging in soil amendment, we used pieces of slate and flat stones behind the boulders to create basins of top soil for the news plantings – and to direct moisture away from the side fence. 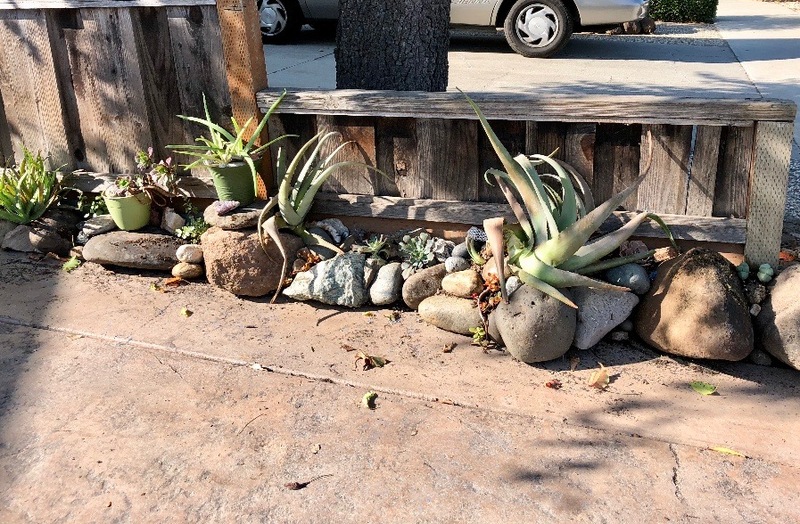 The stones form the bones of the garden, the aloes provide form and structure, and the smaller plants and seashells add color and contrasting shapes. We added two potted succulents in green pots for height and variety. 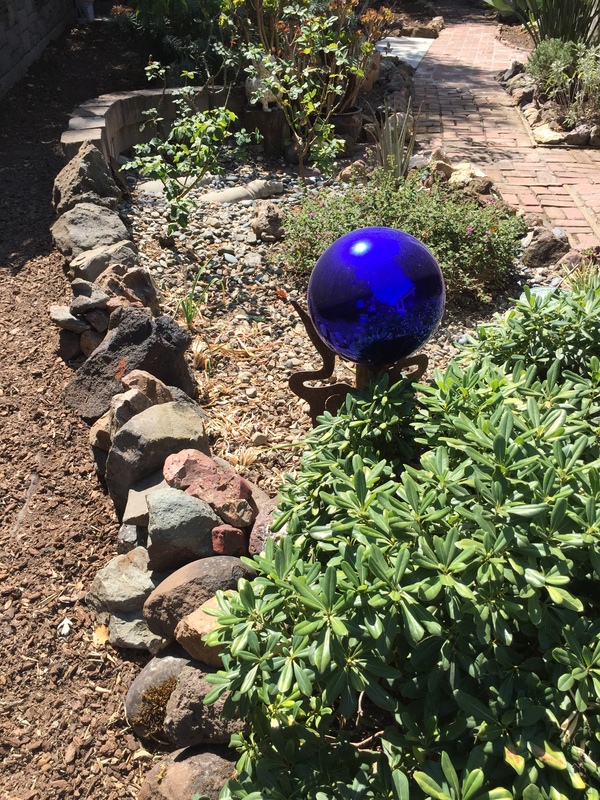 Jessica will extend the garden further when she adopts new boulders during future travels. Photos Copyright 2018 by Katy Dickinson and Jessica Dickinson Goodman.